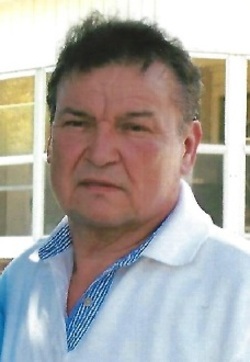 Marciano Ortiz, 68, of Moline, passed away Friday, February 8, 2019 at his residence surrounded by his family. Visitation will be Tuesday, February 12, 2019, from 4 p.m. – 7:00 p.m. at DeRoo Funeral Home, Moline. A Mass of Christian Burial will be celebrated at 10 a.m. Wednesday at St. Mary’s Catholic Church, Moline. Burial will be in St. Mary’s Cemetery, East Moline. Memorials may be made to the family for a fund to be established. Marciano was born October 18, 1950 in Al Damas, N.L. Mexico, the son of Nicholas Ortiz & Carmen Martinez. He married Dora Bermudez on December 16, 1974 in Edinburg, Texas. He was employed at John Deere for 14 years before working as a Line Supervisor at Oscar Mayer for 23 years, retiring in 2008. He enjoyed spending time with family and friends telling stories. He enjoyed watching the Discovery channel and Animal Planet and Boxing. His favorite hobby was eating at the buffet and playing at the casino slots. His greatest joy was sitting in his backyard with a cold beer in hand. He is survived by his wife of 44 years, Dora, daughters and their children, Nancy N. (the late Juan+) Mata and her son Samuel Mata, Myrna E. Gonzalez and son Daniel Marciano Gonzalez, Blanca E. Ortiz and Judith Ortiz and her children Dora C. Ortiz, Tatianna Rauda and Uriel Ortiz; sisters, Socorro Ortiz and Rafaela Ortiz; brothers Rogelio Ortiz and Aurelio Ortiz, all family from McAllen, Texas. He was preceded in death by his father, Nicholas Ortiz and mother, Carmen Ortiz, twin brothers Juan and Jose Martinez and sister, Carmen Zamora.